Classy and packed with features, our Allure Foldable Bag is the best way to bring back your travel goodies! Its foldable design means that you are able to get extra space anytime, anywhere. Simply unwrap the slim pouch to reveal a spacious bag! Be sure to check out its unique features below! 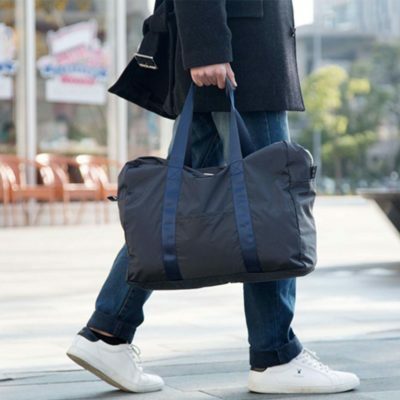 Sleek, light-weight and made with durable materials, our Walker Foldable Travel Bag is the perfect companion for your travels! It features handy inner and exterior compartments for your smaller essentials such as passport, phone and chargers. Compact when not in used and spacious when unfolded, be sure to bring this travel must-have on your next holiday! Here’s a must-have essential for your next overseas trip! 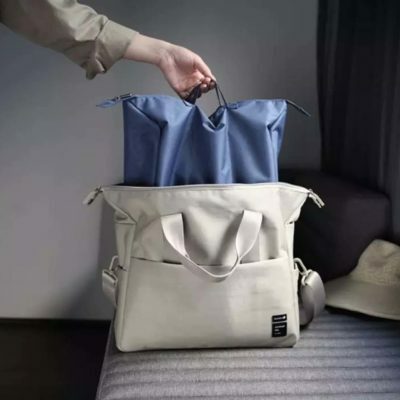 Exquisite and yet functional, the Collage Foldable Travel Bag gives you added convenience while traveling – Simply unfold its compact design and a spacious travel bag is revealed! Made with premium materials and featuring a unique two-way carry handle, this travel bag is indeed a traveller’s best friend! Heading overseas for that perfect holiday? Spacious interior yet compact when folded, be sure to bring along our Travel Foldable Bag for your holiday trips! Uniquely designed and light-weight, the Joviality Foldable Bag is a must-have for any trip! This travel bag is compact when folded and spacious when opened, allowing you to store all your travel items effortlessly. Read our guide to folding the bag in the product description below! Be it a short get-away or a long much-awaited holiday – bring along our Joviality Folding Bag to stow away your holiday shopping in style! Love classy floral prints? If so, be sure to check out our Le Fleur Foldable Travel Bag! Its name translates to “The Flowers” in French and its name certainly lives up to its design! Timeless and functional at the same time, it is expands into a spacious travel cabin bag when you need it. When you are done, simply fold it up and it becomes slim and compact! Be sure to store your travel goodness with the Le Fleur Foldable Travel Bag! You might be interested in our Le Fleur Travel Collection! Spacious, well-made and minimalistic, the Porter Messenger Bag is a functional carrier for travelling or daily use! It features a unique shoe compartment for added convenience and hygiene. To top if off, there are plenty of compartments and pockets – perfect for smaller essentials such as your phone, passport and other digital gadgets! Coming in 2 sleek colours, be sure to carry it home today! Pocket and slots to keep you organized! Whether you are looking for the perfect travel carrier or a weekend casual bag, our Sydney Messenger Bag is a must-have! Coming with a fitting bag-in-bag organizer, this messenger helps to keep your wallet, makeup, additional clothing and other smaller essentials neat and accessible. Made with the finest materials to accompany you wherever you go, be sure to make this your daily carrier! 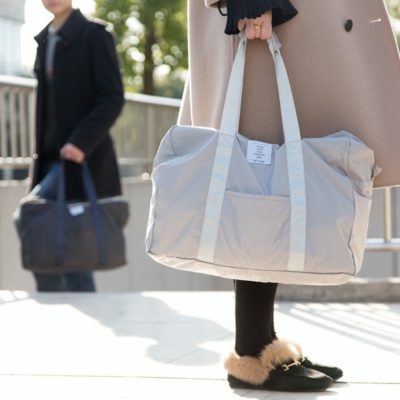 The Urban Foldable Tote Bag is essential and handy for travellers and shoppers alike! When required, you may unfold the tote bag to reveal a spacious carrier – able to hold all your shopping goodies! When you are done, fold it up within seconds and it is compact enough to fit into a handbag! Besides, it features an inner compartment which allows you to store smaller essentials such as passports, wallets and phones! Bring this versatile bag the next time you head out!